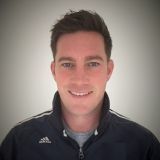 Darren joins the S4K Team on their mission to revolutionise children’s sport around the UK and Internationally. Darren and his team will kick off their operation with the launch of our kids and toddler football classes and our kids and toddler rugby classes in Warrington. The S4K Partner Franchise proposition encompasses a 12 service line model that aims to transform the sporting landscape in the UK. 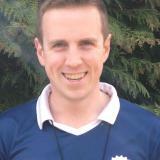 Darren will be launching the S4K Nursery and Schools Partnership programmes in Warrington over the coming months. We are looking forward to working with Darren and expanding the S4K operation to Warrington! The new S4K Partner Franchsie will be opening kids rugby classes in Warrington and Lymm and kids football classes in Warrington and Lymm too! To reserve your space, click the above links. To join Darren and our S4K Partner Franchise Operation, head to www.s4kfranchising.com and book a Discovery Day.